I was lucky enough to get chosen to review the Influenster Spice Voxbox and there was a nail polish kit in there! Great start to my December, thats for sure. 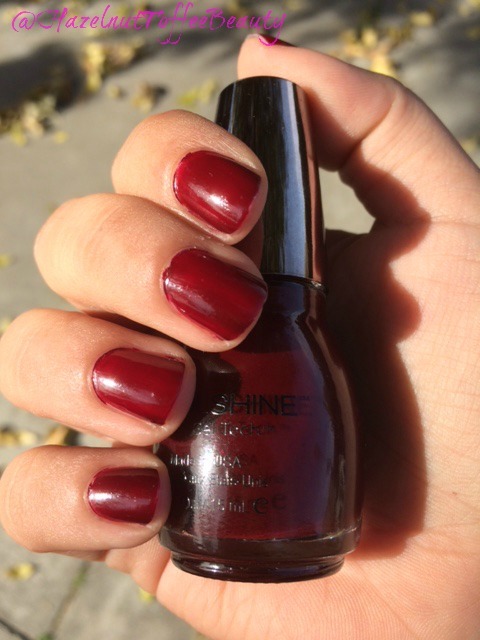 I got the SinfulColors SinfulShine Nail Polish in shade “Mirror Mirror 1613” along with the top coat. It’s such a pretty wine color. Hope you’re all doing great and enjoyed your weekend! 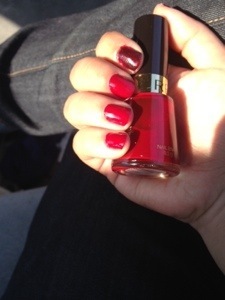 This week, I’m wearing Julie G “Elegant Edge” that I purchased from 99. Cent Only Store. This is probably one of my favorite wine colors of all time, which is funny because I’ve been looking for a favorite wine color recently and all the other colors I had didn’t feel like a true wine color. What do you guys think? Have you found any good deals lately?